Patrik Lindström EBM, Electro Our Norwegian neighbours (at least if you live in Sweden) Kant Kino have released their debut album "We Are Kant Kino - You Are Not" and it's a pretty varied experience, but not varied in the terms of the overall quality of the production. By varied I mean you find many sources of inspirations here, even though it all is in the playfield of dark electro. If you mash up Severe Illusion, Tyske Ludder, Grendel and Nachtmahr into a creamy paste, you are somewhat close to what Kant Kino is all about, but then again, not at all. Kant Kino manages to somehow sound similar to a lot of other artists, but still a bit different. There are a lot of tasty goodies in this album if you give it a shot. Tracks like "Submissive Nation", "Invisible Tears", "Owner of This House Lives Here", "Red Rain", "You Gave Me Nothing" and now I really start to feel like I've soon listed all the tracks on the album. One track not to forget is "Forgotten Faces" where it gets really interesting in the refrain, where they have used the same build up as Smashing Pumpkins' "The Beginning Is The End Is The Beginning" which is one of my favourite songs of all time. If this was not intentionally, it's a bit creepy. Nevertheless, it's still the best song of the album. 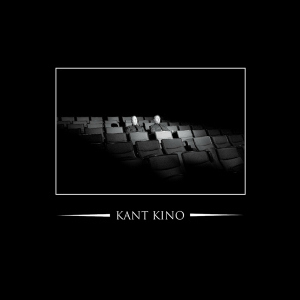 Our Norwegian neighbours (at least if you live in Sweden) Kant Kino have released their debut album "We Are Kant Kino - You Are Not" and it's a pretty varied experience, but not varied in the terms of the overall quality of the production. This is a great debut album from Kant Kino and you should check this out, as well as their future releases.